Secure Data Recovery Services is proud to offer Laguna Hills residents local & reliable data recovery and digital forensics services. With the help of our advanced technology and knowledgeable engineers, Secure Data Recovery has upheld a 96% overall success rate. Call our customer support team at 1-800-388-1266 today to start your risk-free case. Our skilled team can repair and recover data from essentially any type of device that stores data and any type of data loss scenario. Take a look at some of our services below. Data loss can happen at any moment to anyone for a number of different reasons. It is important to take the correct action when this happens to prevent further data loss or damage. The first step you should take when your drive fails is shut down and unplug the device immediately. Never try to recover data yourself, doing do can lead to permeant data loss. Call your local Secure Data Recovery office and set up a same day device evaluation. We offer quick turnaround times and local drop-off and pickup services. 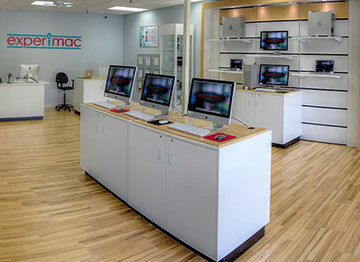 Our Mac certified technicians in Laguna Hills, CA frequently deal with an array of file loss scenarios. Using our state-of-the-art technology, they can quickly recover data from virtually any device. Our customer support team is available 24/7 to answer any questions you may have. Feel free to call them at 1-800-388-1266. Secure Data Recovery holds a number of routinely audited certifications. We take your security seriously, and to show you that your information is safe, we make our data security certificates available on our website. We are SSAE 18 Type II Certified, which protects your files from unauthorized access. We also operate Class 10 ISO 4 Cleanrooms in our facilities to prevent your media from further damage in our labs. Secure Data Recovery is a GSA approved contractor for local, state, and federal government agencies. Secure Data Recovery holds an A+ rating with the Better Business Bureau in Laguna Hills and at all of our other locations. Call our customer support team today and ask about our no recovery, no charge guarantee. They are available around the clock to answer your questions and they will help you start your risk-free case. Call 1-800-388-1266 for more information. I had all my family photos and video from the past 10 years on an outdated external hard drive that stopped working. I googled data recovery and found Secure Data Recovery website and number. When I called, Fred walked me through everything and made me feel really secure. He emailed me very clear instructions, that I followed. After I sent my hard drive in, it only took a few days to hear back that they were able to recover all of my photos and videos, with only a small fraction that was damaged in some way. Of the 68,000 files only 800 were damaged! The cost was expensive, but after some research I learned that the cost was pretty average for data recovery. My advice to everyone...update your external hard drive and back up with cloud. Thanks again Fred! Over the summer my family and I took an epic three week RV trip through Arizona, Colorado, Utah, Wyoming and up into South Dakota. The plan was to write all about our adventures on our travel blog, www.HealthyFamilyTravel.com. Unfortunately, soon after leaving once-in-a-lifetime places like Mount Rushmore and Crazy Horse my iPhone completely died. And wouldn't you know it, I hadn't backed it up in a couple of days. Our precious family memories were completely gone. We had to drive all the way from South Dakota to Boulder, Colorado to the 'nearest' Apple Store, but when we got there they told us they couldn't fix my phone. When we returned home I started the process of trying to get my photos recovered. I went to multiple local data recovery companies in my area, but no one could retrieve my information and said I needed a company with a cleanroom. I had already spent a bunch of money in evaluation fees and was starting to lose hope. I was hesitant to send my phone to another state, but I decided to give it one last try. Secure Data checked out my phone without a diagnostics fee. They said it would be challenging, but they had a high percentage rate of recovering data off of dead iPhones. I worked closely with Jeff, who was really supportive and helpful. Losing treasured family photos can be heartbreaking, but Jeff was really patient and reassuring. I think he was just as happy for me as I was when we found out they were able to retrieve all my pictures! I'm so excited to get the photos and finally get to write all about our trip on our blog! Secure Data Recovery really saved the day! They gave us back our memories and now we can share them with the world! Thank you Jeff and SDR! They did it! I had a flash drive crash on me with almost 10+ years of professional work and personal details. Chris McMacken assisted me ever step of the way and today I received 100% of my recovered work. I cannot express how much time and stress this has saved me. I completely recommend Secure Data Recovery. They are the experts, and they know exactly what they are doing. Thanks so much for helping me out. It is greatly appreciated.